The molded case circuit breaker includes all types from 15 Amp single-pole to the 1200 amp frame or larger with thermal magnetic trips. They either come with fixed or interchangeable trip units. Some are designed with adjustable ranges. An innovative design of internal components allows higher MCP-starter combination interrupting ratings. We stock low voltage electronic trip circuit breakers. Electronic solid state trips were originally designed and developed for power circuit breakers. The insulated case circuit breaker is the most current design being used as a new, more compact style frame that operates like a low voltage power circuit breaker. The air circuit breaker is the oldest design in the power circuit breaker sector, yet it remains a very strong and long lasting, reliable circuit breaker. The vacuum circuit breaker provides the most reliable and long lasting technology in the medium voltage circuit breaker line. We can provide voltages from 2.4kV to 35kV vacuum circuit breakers. 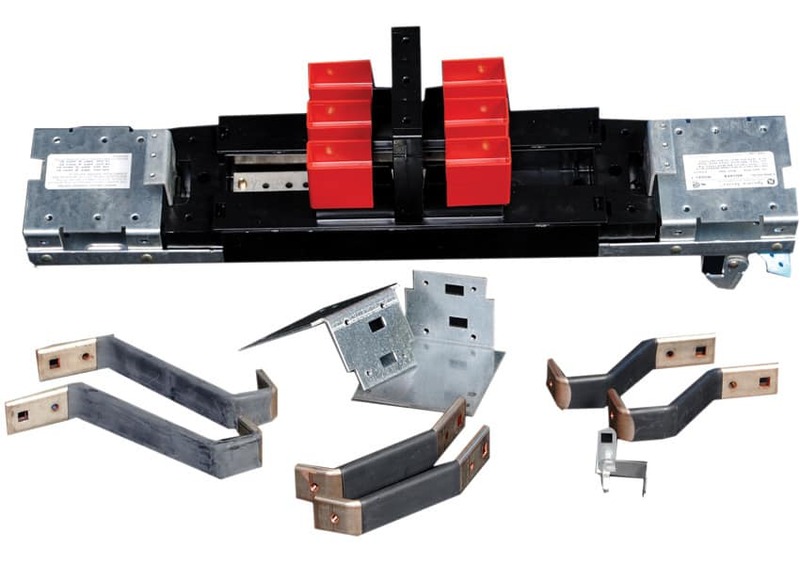 Mounting hardware kits for circuit breakers contain the conductors required for properly installing and connecting circuit breakers to the bus in a panelboard.